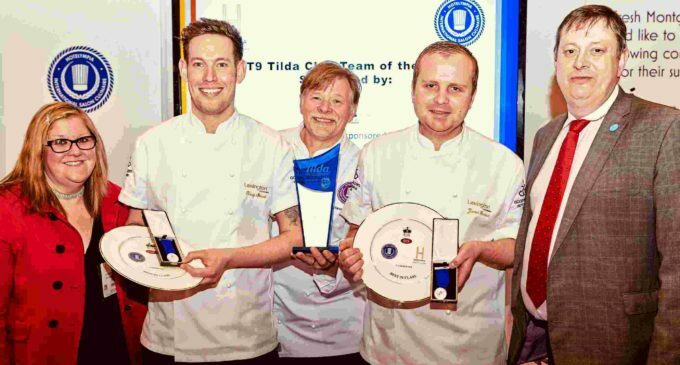 The winners of the Tilda Chef Team of the Year 2018 have been announced. Preparing, cooking and presenting a main course and dessert using a Tilda speciality rice variant within a 45-minute deadline, ten teams battled it out in the final at Hotelympia’s Salon Culinaire Live Theatre. Lexington Catering’s Tony Stuart (pictured above, second from left) and James Garred (second from right) triumphed with a main course of Tilda Basmati & Wild jewelled saffron rice, spiced halibut and crab with sea vegetables. For dessert, they served up tamarind pineapple with caramelised Tilda Arborio rice ice cream, coconut, pistachio and rice granola. Visit www.Tildafoodservice.com for some great-tasting recipes made using the Tilda speciality rice range.